Mch(SGE)-GB Pant Institute of Post graduate Medical education and research (Delhi University), New Delhi. 2015-Jan2018- Assistant Professor,Department of Surgical Gastroenterology,JIPMER,Pudhucherry. Laparoscopic right hemicolectomy - tips and tricks - Video Lecture, Conference and certificate course in colorectal surgery, september 2018,JIPMER,Puducherry. 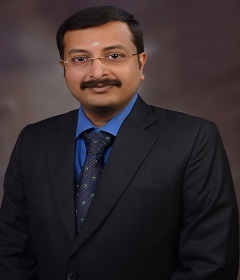 Dr. KSivaraman Gold Medal in M.S General Surgery for the medal exam conducted at Thanjavur Medical College in the year 2009.